Look just like Olaf when you go outside to play! Just not so melty. 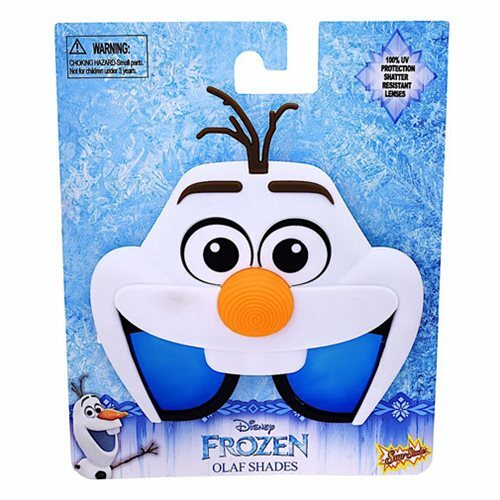 These Frozen Olaf Sun-Staches will let you look just like the Snowman that just wants to feel Summer. These Disney Frozen Olaf Shades feature 100% UV protection and shatter-resistant lenses. Measures approximately 5 3/4-inches wide by 6-inches tall. Ages 13 and up.